‘A website is one of the investments businesses make to push their products, services and brand to a global audience. 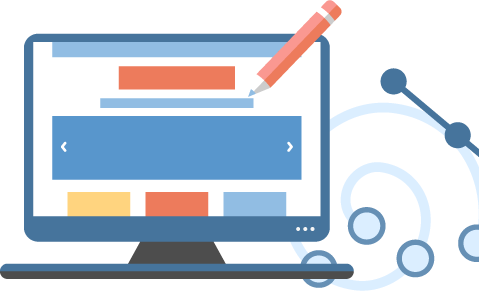 Unless the business has an in-house web designer hiring a professional web design company helps to ensure that they get the right product. Many websites fail because the owners simply left the planning and design work to the developer. The initial planning should be done by the website owner. This ensures that the web design company people has as much information about what’s expected before they get to work. The planning process generally involves setting your purpose and goals. This involves a number of steps which are outlined as follows. why do you want a website created? The answer to this question will determine the type of website the web consulting company will create for you. For example, if you intend to share information regularly about a specific niche say, making money online, you’ll have the option of having a blog or membership site created. After knowing the reason why you want a website created, the next step to take is knowing the targeted audience. Using the blogging example above, the audience would be persons who have internet access and, want to make money online. The targeted audience can be further narrowed down to a particular group like, at home moms or senior members of society. The reason why this is so important is that, choosing your specific audience determines the tone of your website. That is, what are the needs of your targeted audience and, how best can you satisfy these needs? The third step to take on how to plan a website involves deciding on the look of the website. As aforementioned, a website is one of the ways a business can use to push its brand. Therefore, for the targeted audience to easily visualize and remember the brand, the website should be unique and stand out among websites in the same niche. At this point, think about the business logo, colors and even the font you’d want to use. Step four involves considering the simplicity of keeping the website updated. Still on our example, how often do you expect to add new content and, how simple does the website created make this. If there isn’t time to keep updating the website, hiring a web administrator from a professional web design company to keep the website up to date might be necessary. The final step involves determining the budget. The price charged for the creation of a website largely depends on the web design company and, the type of website created. Rather than think about the cheapest developer you can find, it’s best to consider how much you’re willing to spend to get a quality website. This helps you to narrow down your options of web consulting companies you can contact for quotes. After taking these five steps, you have done most part of the planning. Your final step is finding the web design company which will bring the plan to life.